Wood, oil, and steel are the building blocks of our contemporary infrastructure. Our society relies on the strength and longevity of these materials. This piece is a study of their ephemerality. 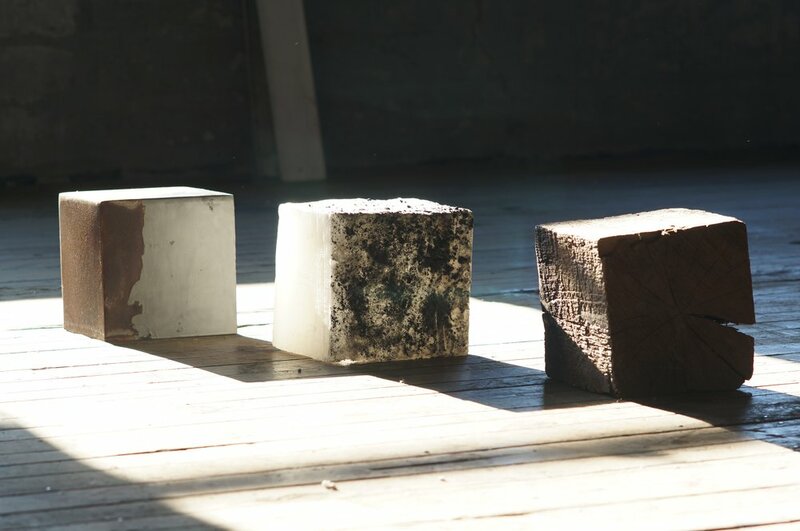 Each steadfast cube represents the material in a simple form, and each one is distressed in a way that points to its inherent fragility and unsustainability. 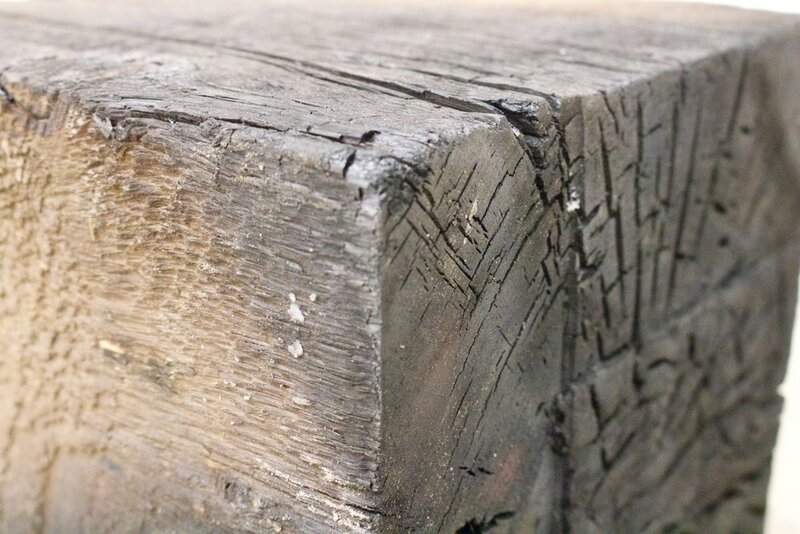 The wood is charred and scorched, the wax (a byproduct of oil refining, standing in for oil) is melted, with burnt ash suspended in it, and the steel is rusting. These are the physical building materials of our infrastructure, and also symbols of the ideological and conceptual building blocks of our society such as our justice, finance, and healthcare systems. Many of the institutions we perceive to have a monolithic permanence are laced with ephemerality.